Financial identity theft has grown into a multibillion-dollar problem, and at least 7% of the cases that are reported target children’s identities. It is estimated that over 140,000 thousand children are victims of identity fraud each year in the U.S., according to research conducted in 2011by IDAnalytics, but the actual number of child victims may be much higher, as the theft of a child’s financial identity is often not discovered until the child applies for credit. Kids Social Security Numbers are unused making it easier to combine them with a new name and birthdate; the allure of an untainted SSN (one with no credit problems) is in the opportunity it represents for creating fake lines of credit and charging up high debts. Children aren’t monitoring their identities so discovery of the theft isn’t likely to happen for years – in fact it is very hard to monitor an identity at all until a child is 14 years old; even after they are 14, very few check their credit history before they seek their first line of credit. Lots of people get access to a child’s identity information through a variety of means. In a 2011 Federal Trade Commission (FTC) discussion, “Stolen Futures: A Forum on Child Identity Theft”, several concerning statistics were presented. Other research indicates children are targeted for identity theft 51 times more often than adults (Debix). And, minors who were alerted about potential privacy compromises were 7 times more likely to actually experience fraud than adults who were similarly alerted, according IDAnalytics. There are two primary threats to kids’ financial identities. The first threat comes from criminal businesses that use computers and publicly available information to find Social Security numbers for which no line of credit has been established. You may wonder how criminals steal numbers that aren’t in any system, but that’s the beauty of it. They don’t have to know whose SSN they’re stealing, they just have to find SSNs that are legitimate and have no credit history. The second threat comes from family members looking for a new line of credit. They steal their children’s, nieces’ or nephews’, grandchild’s, even younger siblings’ identities, primarily to use themselves to create new lines of credit. In cases where family members are the thieves, children may be very reluctant to report the incidents to authorities even after they become adults, making the cleanup of their credit scores and identity particularly difficult. The impact of identity theft on a child can vary especially once the child becomes an adult. Your child may discover their identity has been used in crimes, they may be denied credit or college loans, experience difficulty renting an apartment, opening a utility account, or even getting a phone account in their name. They may also be subjected to medical identity theft where his or her medical records have been tampered with in order to scam an insurance agency. Checking a child’s credit report is possible for youth but it is generally ineffective since they haven’t built up a solid credit history. According to the Identity Theft Resource Center, credit report monitoring only catches a child’s ID theft about 1% of the time. But that doesn’t mean there aren’t concrete steps you can – and should be – taking to protect your child. Don’t let ID information leak out. This vigilance needs to begin even before birth. Keep any information about your child on a baby registry generic. Don’t give a birth date, the child’s name, your hospital, or other information that could be used to help tie information to your child. Once baby gifts have been received, shut down the registry. Some companies don’t make this easy, but if you call and demand the record be removed you should be successful. If you choose to put a birth announcement online or in a newspaper, keep the information generic. Do not leave your child’s birth certificates or social security information out where they can be seen by others. Do not keep their SSN cards (or yours) in your wallet or purse where they can be stolen. If you don’t have a safe or safety deposit box, find your most secure location to store these in. As your child grows and participates in sports, clubs, and organizations, you will often be asked to provide their social security number (SSN). Challenge the requestors need for this information, and ask how it will be protected, who will have access, and when and how it will be discarded when your child is no longer with the team, club or organization. Do not feel reassured if the requestor ‘only’ wants the last 4 digits of their SSN – these are the only critical numbers. The last four digits are the only random numbers – and ironically those are the ones you’re asked to provide most frequently. Find out if you can use an alternative form of identification for your child whenever possible. Help teens understand that they don’t have to have money to be at risk. Lots of teens get tripped up because they figure they don’t have enough money in their bank account to matter – if someone really wants to steal their $54.13, they would go for it. But this is the wrong way to look at it. It’s not what your child has in their account that interests a criminal; it’s how far they can put your child in debt. A criminal is not likely to steal anything from your child’s bank account because it could tip them off. What they’re interested in is getting a $40k loan using your child’s identity. Because your child is not likely to be checking their credit history it can be years before they discover that their credit rating is ruined and they owe money. Monitor what is shared about your child online. Websites typically collect name, age, and birthdate – all great starting points for ID thieves if the company records are hacked or if they display this information about users. If your child also says where they were born, thieves know the first 5 digits of their SSN… a little digging or social engineering can quickly provide the rest of the information. Keep your computers, laptops, and smartphones secure. If you have any financial records, tax returns, etc., on your computer and it becomes infected with malware, criminals can steal all of your identity information and the identity information of your dependents. Freeze your child’s credit file – if a file exists. If a credit report exists for your child you should assume their identity has already been used fraudulently. 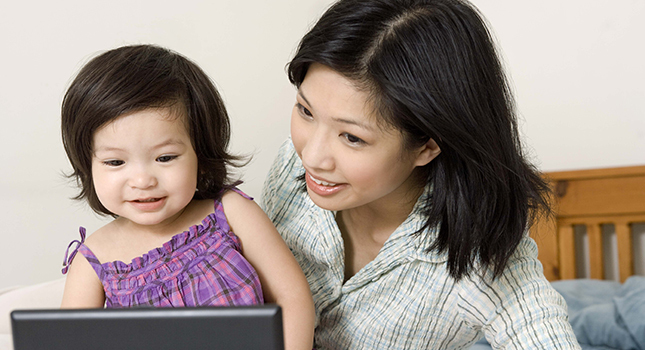 In this case, you the parent or legal guardian can freeze your child’s credit file. You will have to provide proof that you are the parent or legal guardian and that fraud has occurred. Unfortunately, credit bureaus won’t create a file for a child at the request of a parent who wants to place a preventative freeze. Files are created based on information reported by creditors – for example: employers, credit card companies, mortgage providers and other lenders. If your child has never had a job, applied for a credit card or loan, and has not had their identity stolen, they won’t have a credit report. Check your child’s credit report annually. You can check your child’s credit report for free once a year at each of the three major credit reporting agencies: Experian, Equifax and TransUnion. Ask your legislators and credit agencies to make one small change in how they conduct their business to dramatically reduce child identity theft. If credit issuing companies checked the date of birth of the person seeking credit and matched it against their reported Social Security Number (remember the first 5 digits represent the location and date of birth) it would quickly identify that the applicant was an infant, child, or teen. This should kick out a red flag requiring additional documentation. There are legitimate cases when an adult would have a Social Security number that is new, such as when immigrants are issued an SSN, or when people have had to have their SSN reissued because of Identity Theft, but these cases can easily be dealt with, The vast majority of new card holders are minors, and it is very unlikely that a baby who was issued a SSN two years ago needs it for a line of credit or mortgage.